Draymond Green does not appear to be overly concerned with the sprained ankle that forced him to leave Saturday’s game. During the fourth quarter of the Golden State Warriors’ loss to the Houston Rockets, Green landed awkwardly on the foot of DeMarcus Cousins. After lying on the floor for a few moments, Green exited and did not return to the game. On Sunday, Green was listed as questionable for the team’s game on Monday against the Charlotte Hornets. He got some shots up after practice and declared himself probable for the game. Draymond Green’s ankle injury isn’t serious. Getting shots up after the Warriors late night practice in Charlotte right now. Sounds like there’s a chance he may even play tomorrow. Draymond Green listing himself as probable for tomorrow vs Hornets, Steve Kerr says. Earlier in the season, the Warriors exercised caution with Green during his recovery from a troublesome toe injury. For the Warriors, the focus is ensuring good health when the playoffs roll around. 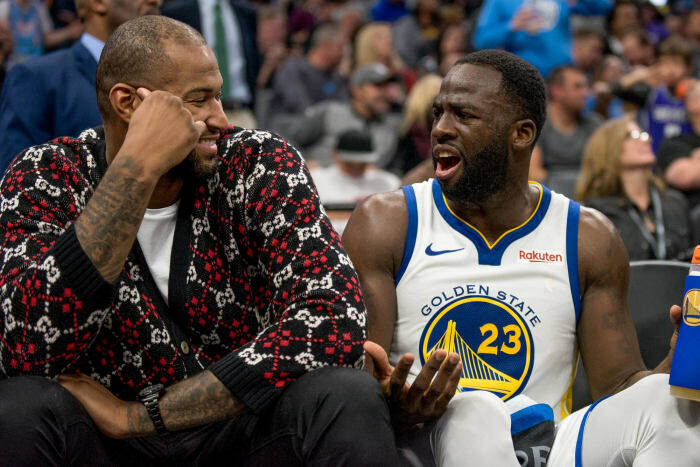 While Green may feel like he’s good to go on Monday, it wouldn’t be a surprise if Golden State held him out a game or two just to be certain Green is 100 percent before returning. 1. 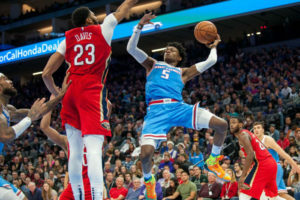 Should the Pelicans trade Anthony this season or this summer? The Pelicans are in 12th place in the Western Conference, and it’s time they start thinking about trading Anthony Davis. If they deal him this season, the Lakers might be willing to part with three of their four young assets (Kyle Kuzma, Brandon Ingram, Lonzo Ball and Josh Hart). The 76ers might be willing to dangle Ben Simmons, too. Heck, the Warriors could even offer Klay Thompson and Draymond Green. If New Orleans waits until the summer, the Celtics will be eligible to acquire Davis (a provision in the CBA is preventing them from doing so this season without including Kyrie Irving) and could offer a package including Jaylen Brown and their war chest of valuable future draft picks. The Knicks could offer their unprotected 2019 first-round draft pick and Kevin Knox. 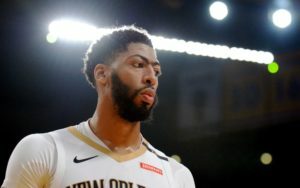 The only downside to waiting for the summer is that if Davis demands a deal to a specific team, the Pelicans lose all their leverage. Lots to consider in the Big Easy, and none of it is all that promising. 2. What does the Lakers starting lineup look like this spring? 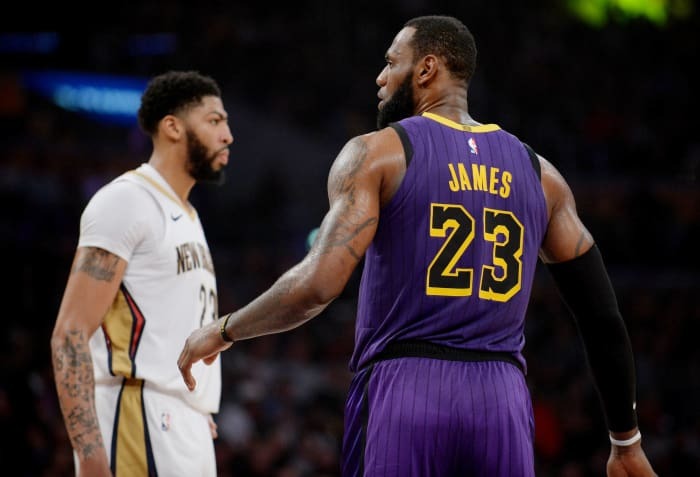 The best-case scenario includes LeBron James and Anthony Davis. A lineup with those two could win the title. The next best scenario probably involves James, Bradley Beal and whichever two youngsters remain. This lineup could hang with any team in the league but is probably an underdog in the Conference Finals and Finals. The worst-case scenario would be if they make no major moves at the deadline because their current lineup likely has a Conference Finals ceiling and it’d be malpractice to waste a year of LeBron’s prime, like when the team has a number of trade chips. 3. Which teams mortgage their futures at the deadline? Out West, the Pelicans are sure to be in the middle of everything, as they hold the crown jewel in Anthony Davis. Yet there’s a chance the Pelicans hold onto Davis and make a big trade of their own — we know they were in the mix for Jimmy Butler earlier this year. Everyone knows that the Rockets and Lakers will be looking for deals too. The Kings are desperate to make the playoffs for the first time in more than a decade, so keep an eye on them as well. Out East, any of the top five teams could justify pushing their chips in and try to capitalize on the Warriors’ perceived vulnerability. Also, keep an eye out for Pat Riley and the Miami Heat — they’ve straightened things out as of late and have been trying to land a blue-chipper ever since LeBron James left. 4. Does Michael Jordan deal Kemba Walker? 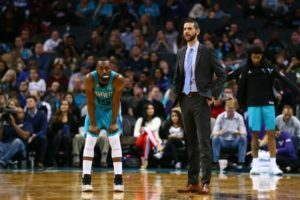 The conundrum of Kemba Walker: He means everything to the Hornets and wants to remain the face of the franchise, yet they can’t compete with him on their roster. He’s not quite elite enough to carry Charlotte deep into the playoffs, yet he’s too good to not carry the team to a .500 record. With no cap room (maybe you shouldn’t have maxed out Nic Batum, MJ!) and hardly any trade assets (maybe you shouldn’t have turned down four first-round picks to draft Frank Kaminsky, MJ! ), Michael Jordan needs to seriously consider trading Walker for some future draft picks and/or cap relief if the Hornets ever want to quit toiling in mediocrity. 5. What do the Blazers do at the trade deadline? The Blazers are having another solid season. They’re 25-17 and have an average offense and defense. They won’t miss the playoffs, but they probably won’t make it out of the first round if they don’t make a move at the trade deadline. Is this the year they break up the Damian Lillard-CJ McCollum backcourt? How does the passing of owner Paul Allen impact the team’s previously unwavering loyalty to its dynamic backcourt? 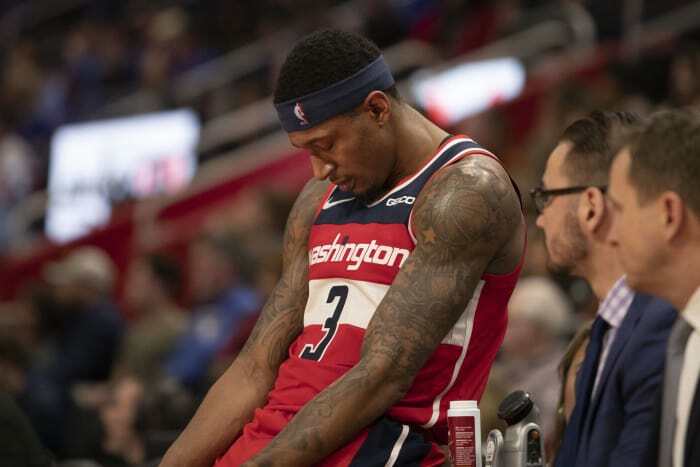 Would the Wizards ever consider a Bradley Beal for McCollum plus an unprotected 2020 first-rounder swap? 6. Which teams should blow it up at the deadline? A couple of teams that are teetering on the brink of falling out of playoff contention should seriously consider blowing up their rosters by trading away assets for future draft picks and high-upside prospects. The most obvious team is the Washington Wizards. At 17-25, no John Wall for the rest of the year and no cap space, the team should absolutely be looking to trade Otto Porter and his massive contract, Markieff Morris and his abrasive attitude and even Bradley Beal if a team like the Lakers offers multiple prospects and draft picks. Just above Washington in the standings, the Magic, Pistons and Hornets are all fighting for the eight seed. If any of them falter, they’d be obvious “tank” candidates. In the West, everything is still congested in the standings, but the Grizzlies and Pelicans will want to listen to offers for their respective stars if they’re on the outside looking in a month from now. 7. Do the Bucks have enough to compete for a title? When LeBron James was 24 years old, he won his first MVP and led the Cavs to a league-best 66 wins. He was so transcendent that the team didn’t think it needed to improve a roster with Mo Williams as its second-best player at the trade deadline. Everyone knows how that worked out for Cleveland — the Orlando Magic caught fire in the Conference Finals and upset the Cavs. Milwaukee Bucks fans should be scared to death of history repeating itself with Giannis Antetokounmpo this season. 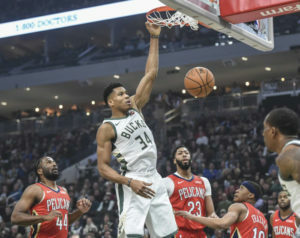 Giannis is also 24 years old and an MVP front-runner, and he’s leading a surprisingly good Bucks team to the top of the conference as the deadline nears. While the Bucks have better secondary options than the 2009 Cavs had, their current roster is probably another scorer and versatile forward away from being threats to win it all. 8. 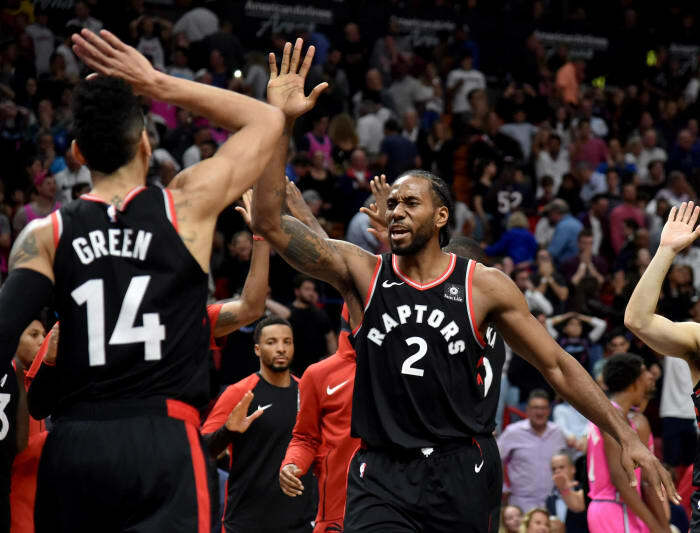 Are the Raptors finally a legitimate title contender? These dinosaurs are legit. Unlike past years, they have a roster built for the playoffs. Kawhi Leonard is back to being the Kawhi Leonard of old (albeit, a little better on offense and a little worse on defense). Danny Green is having his best season in years. Same goes for Serge Ibaka, whose switch to small-ball center appears to have triggered a Benjamin Button-like reverse aging in his body. Kyle Lowry is second in the league in assists, too. And who could forget Pascal Siakam — wow, where the hell did this guy come from? In his third season, he’s made the jump from solid defensive presence off the bench to potential All-Star and two-way terror on the court. He’s always sprinting, making offensive players uncomfortable on defense and pushing the envelope on offense — just making winning plays all over the court. He’s like Toronto’s own mutated version of Draymond Green. If you haven’t seen him play yet, you’re missing out on the best spin move in the NBA. 9. 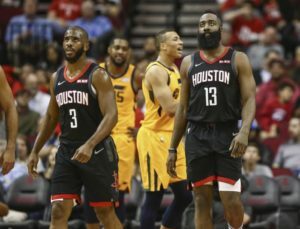 Are the Houston Rockets still contenders? James Harden probably answered this one at Golden State last week where he put on one of the most impressive performances of his career. His three-pointer between the outstretched hands of Klay Thompson and Draymond Green was the climax point of an on-going, 15-game stretch in which he’s averaging over 40 points per game. We know Harden will keep stuffing the stat sheet, but we also know that he’s prone to wear down in the playoffs if another teammate isn’t there to lighten his load. Can Chris Paul get back on track once he returns from his hamstring injury? 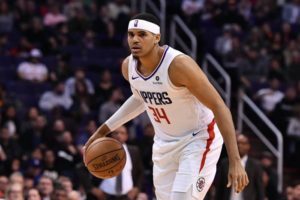 Does Houston trade for another shot creator at the deadline? 10. Are the Nuggets a legitimate title contender? 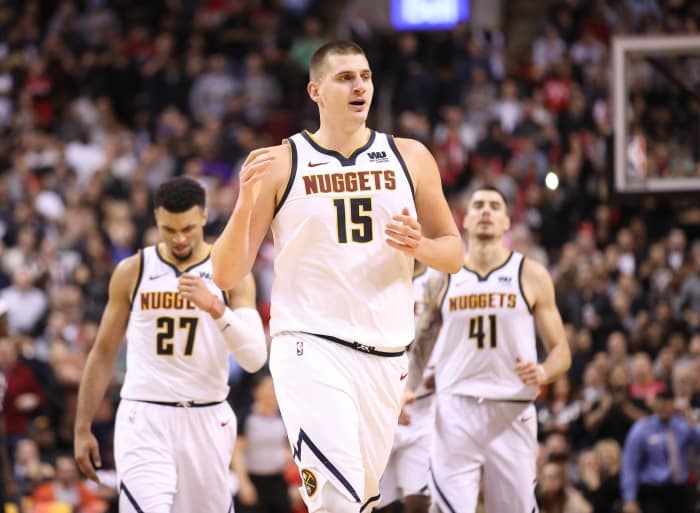 Nikola Jokic and the Denver Nuggets’ meteoric rise to the top of the Western Conference has been one of the biggest surprises of this NBA season. Jokic is proving to be a one-man elite offense, as the Nuggets have been able to withstand significant injuries to a number of their key players, including Paul Millsap, Gary Harris and Will Barton. Even if they sputter at some point during the second half of the season, they should finish with a top-four record in the West. The question then becomes what is their ceiling this season with a roster comprised mostly of players with little to no prior playoff experience? A safe bet is that they’ll win their first-round series and then lose a close battle in the second round to a more experienced team like the Warriors, Rockets, Thunder or Lakers. Regardless, the future is bright in Denver. 11. Have the Thunder quietly built a defensive machine to upset the Warriors? 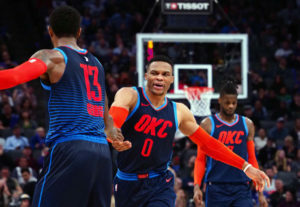 With Paul George playing at a first team All-NBA level this season and Steven Adams, Dennis Schroder and Jerami Grant playing excellent two-way basketball, the Thunder might be the team best equipped to take down the Warriors. Notice I didn’t mention Russell Westbrook? That’s because the Thunder are often winning games in spite of Westbrook. While he is taking two fewer shots per game and has recommitted himself to defense (leading the league in steals), his shooting splits and shot selection are abysmal. He’s a key reason why OKC has the worst field-goal percentage in the NBA. It’s so frustrating because this team could absolutely steal some games from the Warriors in a series (they’re 3-2 vs. Golden State since acquiring Paul George) with its defense and overwhelming athleticism. However, Westbrook has to be a much more efficient player for the Thunder to take down Goliath. 12. 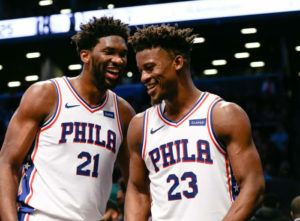 Can the 76ers avoid a chemistry catastrophe? There are layers to this one. For starters, the relationship between franchise cornerstones, Joel Embiid and Ben Simmons, is somewhere between “working partnership” and “icy.” It’s probably closer to the latter right now after their recent rebounding collision and Embiid’s subsequent freak-out. If that weren’t enough to worry about, Jimmy Butler is apparently already comfortable dressing down head coach Brett Brown in front of teammates about his role in the offense. Some teams can excel amid chaos like this; others fall victim to it. Will the Eastern Conference’s most talented team straighten things out for a long playoff run? Or will it implode from within? 13. 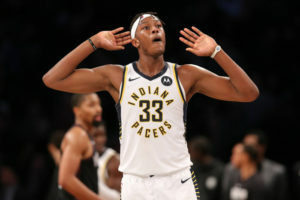 Do the Pacers have enough offensive firepower to win the East? It may come as a surprise to the casual fan, but the Indiana Pacers are a force to be reckoned with in the Eastern Conference this season. They’re currently in third place and have the NBA’s third-highest rated defense despite missing their star, Victor Oladipo, for 11 games this season. Their defense and plethora of excellent role players will keep them in every game come playoff time, but can Oladipo carry their offense enough for them to make a deep run? Look for the Pacers to add some more scoring pop at this year’s trade deadline. 14. What is the Clippers’ ceiling? How many players do you think a casual NBA fan could name on the Clippers? Three? Four? Despite having no star power, the Clippers are 24-16 and in fourth place in the loaded Western Conference. This is no longer a cute story about the whole being greater than the sum of the parts — this team is legitimately good. Tobias Harris, Danilo Gallinari, Lou Williams and Montrezl Harrell are all good players and have destroyed unsuspecting opponents this season. How good are they? Can they win a playoff series? It’ll depend on the matchup and whether they pick up a better two-guard (Avery Bradley stinks now) and rim protector (Gortat isn’t cutting it). They could probably take down any team without an MVP-caliber player in a seven-game series, so if they play the Spurs, Blazers or Jazz in the first round, they’ll have more than a puncher’s chance to advance. 15. 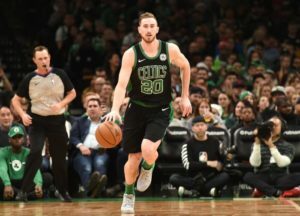 Will Jaylen Brown or Gordon Hayward get back on track? If someone told you that Jaylen Brown and Gordon Hayward were averaging only a combined 23.6 points per game, you’d probably assume that the Celtics were having the season from hell. Fortunately for Boston, the “Marcuses” (Morris and Smart) have stepped up their respective games and covered for Brown’s and Hayward’s struggles. The team is comfortably in fifth place in the top-heavy Eastern Conference and will always have a chance in any playoff series with Kyrie Irving, Jayson Tatum, Al Horford and the Marcuses playing well. However, if the Celtics want to compete for a title, they’ll need at least one of Brown or Hayward to start playing better. Both have shown some signs of life recently, but an occasional good game won’t suffice come May and June. 16. 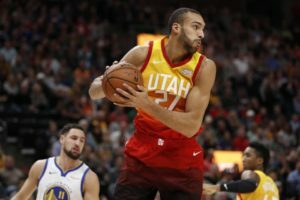 Do the Jazz have another magical second half in store? Quin Snyder has been a second-half miracle worker in his tenure as head coach of the Utah Jazz. Last season, after a 17-24 start to the season, the Jazz ripped off a 31-10 record the next 41 games and rode that momentum to a first-round upset over the Thunder. At 20-21 through 41 games this season, Snyder will need to once again work his second-half magic to get Donovan Mitchell and Co. back on track. 17. How does DeMarcus Cousins fit in with the Warriors? As they attempt to three-peat and win their fourth title in five seasons, the Warriors are struggling with mental and physical fatigue. Even when they’re at full strength, they seem as vulnerable as they’ve seemed since Kevin Durant joined the team. That could all change when DeMarcus Cousins makes his debut. Will the Warriors be rejuvenated by their “new toy” and find new ways to throttle teams? Or will Cousins’ overwhelming but unnecessary offensive talent hurt the team’s on-court chemistry? Boogie’s commitment to defense could ultimately dictate this one. 18. Can Steph Curry really go 50-45-90 again? Remember when Steph Curry won the first-ever unanimous MVP in 2015-16 and forced us to recalibrate how basketball was going to be played moving forward? That season he averaged 30.1 points per game and joined Steve Nash as the only players to ever join the 50-45-90 Club (FG percentage-3FG percentage-FT percentage). Well, he’s doing it again this season. Right now he’s averaging 28.9 points per game on 48-44-91 shooting splits. (And he’s been in a slump lately too.) Thanks to the equally ridiculous seasons guys like James Harden and Giannis Antetokounmpo are having, hardly anyone seems to be noticing how insanely well Curry is shooting this year. 19. 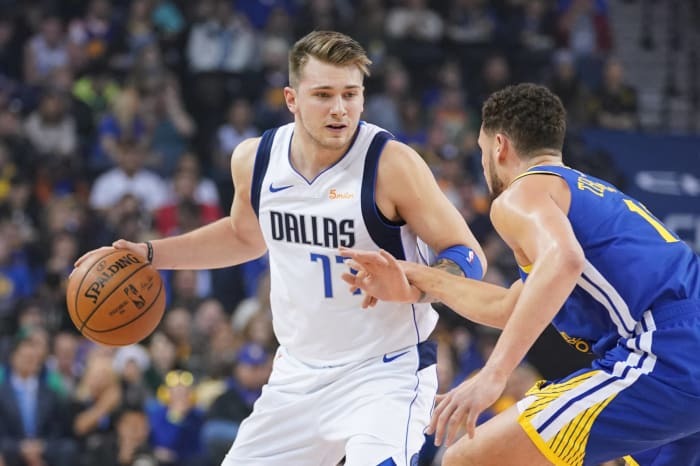 Can we hand Luka Doncic the Rookie of the Year, already? Barring injury, the answer is yes. Doncic has been a revelation in Dallas and is must-see television every time he steps on the court. He might even get voted in as an All-Star Game starter. And while he shouldn’t be an All-Star starter, nobody should have any issues with him making the team because he’s averaging 20 points, seven rebounds and five assists per game and absolutely has a case as being one of the 12 best players in the Western Conference this season. 20. 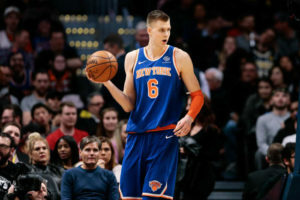 Should the Knicks even bother bringing Kristaps Porzingis back this season? If you recall, Kristaps Porzingis tore his ACL just before the All-Star break last season. With a crappy roster in place and their sights set on Kevin Durant, the Knicks have been in no rush to get their young star on the court before he’s completely healthy. They are going to evaluate Porzingis in mid-February, but there’s a chance he doesn’t play at all this season. Should he play? On one hand, it’d be nice to get him back on the court for about 10-15 games to help him get his rhythm and confidence back heading into the offseason — this is what the Pacers did with Paul George following his broken leg. On the other hand, with a shot at the No. 1 overall pick in the draft, they might not want Porzingis winning games for them and screwing up their lottery odds. 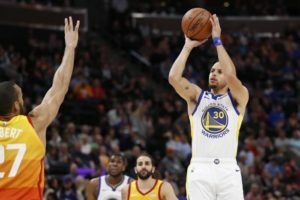 The Los Angeles Lakers and Golden State Warriors put on an exciting game on a night all about honoring Kobe Bryant, but the Warriors would pull away 116-114 in overtime. The Lakers once again pushed the Warriors to the brink, but once again couldn’t close things out in extra time. Kevin Durant put the finishing touches on the Lakers in OT, but overall the defense did a good job keeping him in check. Durant finished the night with 36 points, but shot 10-of-29 from the field. Klay Thompson added in 17 points, but on 6-of-24 shooting. Overall the Lakers did a fairly good job of disrupting the Warriors’ offense, holding them to 40.2 percent shooting from the field. Once again it was horrific free-throw shooting (22-35) and turnovers (12) dooming an otherwise-solid effort from the Lakers. The Warriors were without Stephen Curry and Draymond Green, but even 25 points off the bench from Kyle Kuzma — putting on a show in front of Kobe — weren’t enough to take advantage of Golden State being shorthanded. Lonzo Ball scored 16 points with six rebounds and six assists. Kentavious Caldwell-Pope continues racking up the attempts, going 4-of-17 on the night. The Lakers are off Tuesday, traveling to face the Houston Rockets on Wednesday before bouncing back up to face the Warriors again on Friday. The game, ultimately, served as the backdrop to a much bigger night honoring one of the greatest professional athletes ever. It does not have to make sense. We do not need to piece together the logical threads and evidence, find a line from expected narratives to current reality. It is November, just a month into what has already been a fascinating and bizarre NBA season. The Boston Celtics are the undisputed best team in the NBA at the moment, having secured their biggest victory of the season over the defending champion Golden State Warriors with a 92-88 decision Thursday night. Stephen Curry was 3 of 14, and the NBA’s plus-minus leader was a minus-14. The always rock-solid Andre Iguodala was a minus-18. Golden State shot just 11 of 32 from 3-point range. Boston shot just 32.9 percent from the field, eight percentage points worse than the Warriors … and won. The Warriors had more points in the paint, more fast-break points, the same number of turnovers, more assists … and lost. It was a weird one. It was a wild one. It was fittingly another Celtics victory, their 14th in a row. How did Boston accomplish this? How did it topple the Warriors, the latest team that everyone felt sure would end the streak? The Celtics did the hardest thing possible — which is becoming the very core of Boston’s M.O., always going the hard way. Boston took the Warriors out of their style of play, their rhythm and made them into a wholly different team. Golden State is the No.1 team in point differential in the third quarter. Boston outscored the Warriors by five, holding them to just 21 points in the third quarter. Golden State is fifth in pace this season at 105 possessions a game. They had 101 Thursday night, which would rank 13th. The Warriors shot 21 mid-range shots, making just six, when they average only 17. Boston dictated the pace to the Warriors, forced them into an ugly game, and did what it has done all year — ride second-half momentum that teams have been helpless to stop, even Golden State. The storybook ending had already been written. The narrative had already been told — not merely for opening night, for the whole season. The Warriors were unstoppable, unbeatable, the best team ever assembled. But at the end of the night, it was their heads that were looking toward the floor as they walked off the court. It was their players who had to explain how they’re going to learn from the loss. 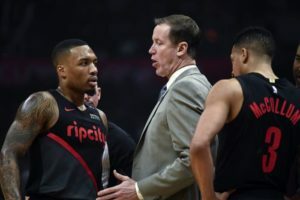 It was their locker room that had the joy and pride of the pregame championship ring and banner ceremony dampened by having to swallow a gut-wrenching 122-121 defeat. A thoroughly dominant first half by Golden State was taken to levels of absurdity by one of the team’s newest members. Nick Young, perhaps better known by his alter ego, Swaggy P, put on a show for his new fans, hitting five of his six 3-point tries in the first half. Life was good in Warrior land. Fast forward 24 minutes, after Kevin Durant’s potential game-winning shot was a fingernail too late, and the Warriors walked off the court in front of a silent, stunned crowd, the night not necessarily spoiled, but certainly more somber. There’s no single reason for the Warriors blowing a 17-point lead — and losing their second successive opening-night loss (they were blown out by 29 points against San Antonio Spurs to start last season) — but there are certainly a few factors. The turning point came in the fourth quarter, not coincidentally after it was announced that Draymond Green, who was already a point shy of a triple-double (9 points, 11 rebounds and 13 assists) would not return due to a knee injury. Golden State Warriors All-Star Kevin Durant has been making statements with his apparel all summer, and his Nike KD 10 Finals shoes, released Tuesday, keep up the conversation. Last month, Durant released a new color for his KD 10s surrounded by red velvet cupcakes, a reference to the moniker given him by former teammate Russell Westbrook. The new shoes also offer a message to Durant’s critics. The insoles feature a series of critiques and names directed at him since he left the Oklahoma City Thunder to join the Warriors in July 2016. Lame. Doesn’t Care About Fans. He’s Changed. Quitter. Weak. Snake. Soft. Arrogant. Choked. Pathetic. Loser. Bandwagon. Traitor. Cheater. The shoe was released online and quickly sold out. Last year, after Durant announced his decision to join the Warriors, Westbrook posted a single Instagram picture, a plate full of cupcakes, wishing everyone a happy Fourth of July. It was a jab directed at Durant. Kendrick Perkins used to refer to teammates as “cupcakes” when he perceived them as being soft, an inside joke that carried on between Westbrook, Durant and Perkins while they were teammates, with them routinely calling one another cupcake on social media. With Kyrie Irving now a member of the Boston Celtics, the Cleveland Cavaliers’ odds of winning the 2018 NBA title have decreased drastically. Even if the Cavs dealt their newly acquired 2018 first-round pick for a plug-and-play talent to make a run at the title in LeBron James’ contract year, winning it all would be considered a long shot — at least according to TV analyst and former NBA coach Jeff Van Gundy. Van Gundy went out on a limb and tabbed the Warriors as overwhelming favorites in the 2017 NBA title race, saying the Cavs — even with Irving and James — would not challenge the Warriors. And he was right about that one. The only thing that has changed from last season to the coming season is Cleveland has changed point guards from Irving to Isaiah Thomas/Derrick Rose, while Golden State returns every starter from last season, when they nearly went undefeated in the NBA playoffs. Van Gundy is hardly sticking his neck out in making this declaration, given what Golden State returns and taking the state of Cleveland’s franchise into consideration. So it will be interesting to see if his prediction once again comes true in 2018.